Three spacious Lighthouse Holiday Cottages at the most Southerly point in Scotland, the Mull of Galloway in the far west of the beautiful region of Dumfries and Galloway, South West Scotland. Pets are welcome and all three cottages are fully equipped, spacious and comfortable. 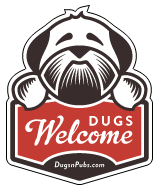 There are a total of 5 dog friendly listings in the Stranraer category. Please log in, or sign up as a member to view all listings.